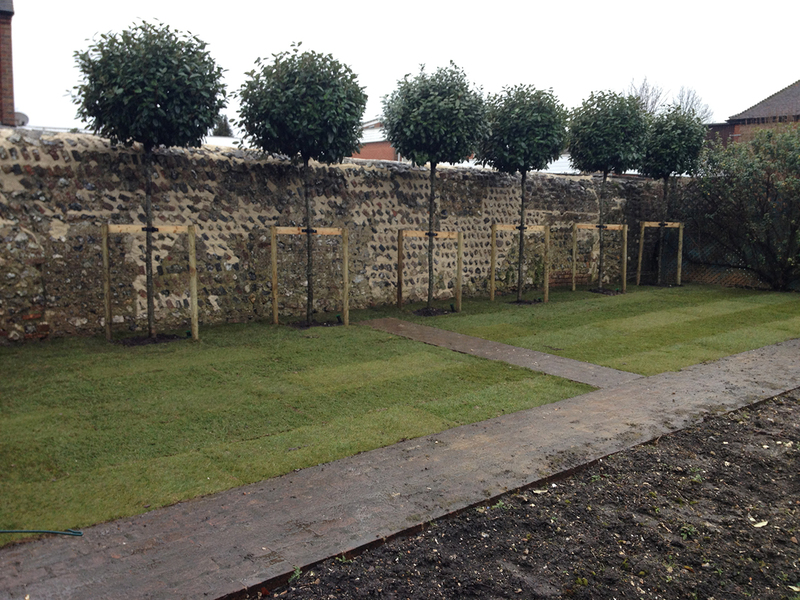 Complete service, flint wall repaired, trees planted and turf laid. 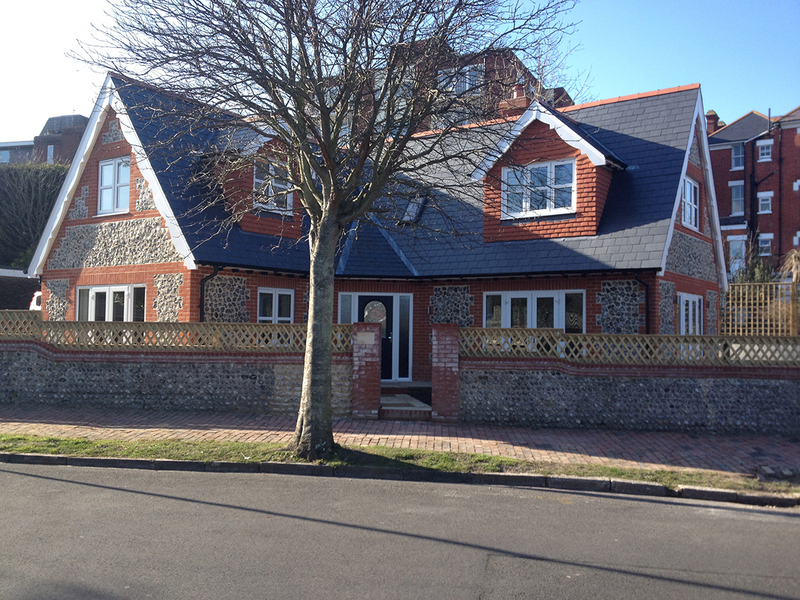 A newly built house in Meads. This has been faced with random laid, new, faced flint. 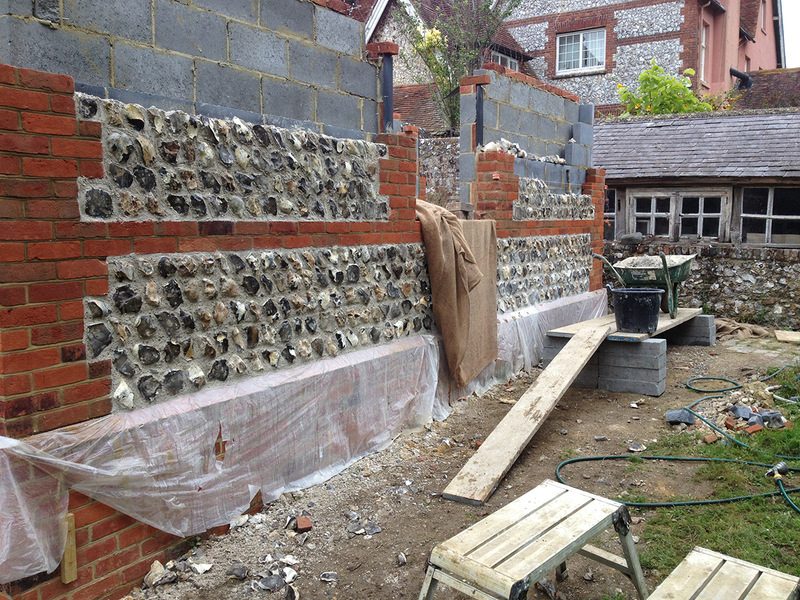 New out building being built with faced Flint courses. 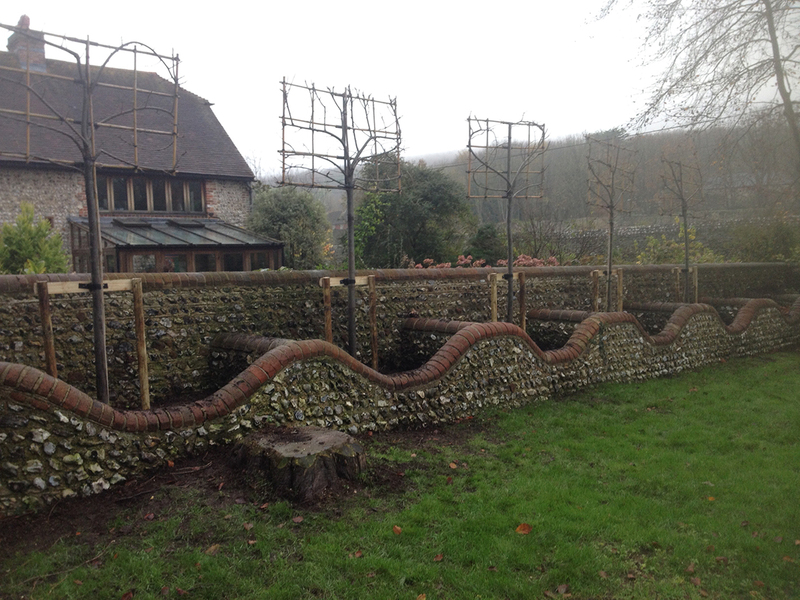 Note the style is designed to mimic the house in the back ground to satisfy the South Downs National Park planning regulations. 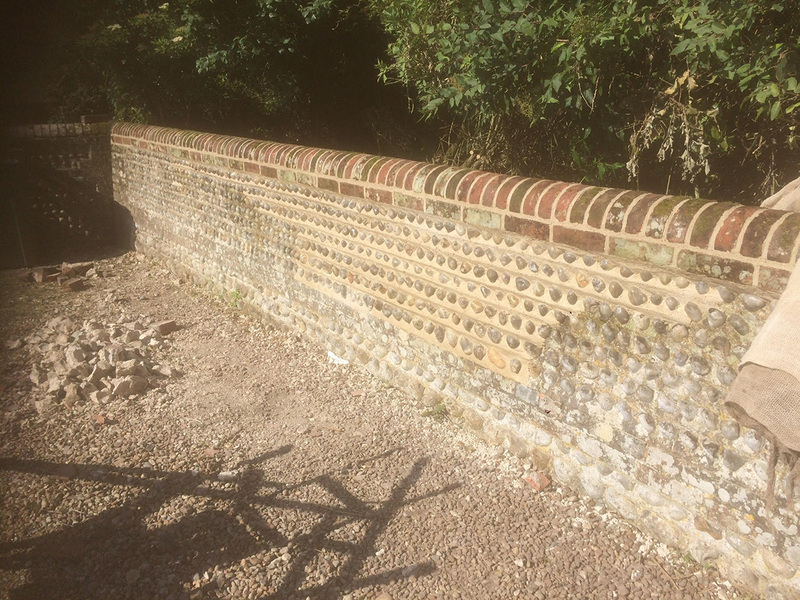 Richard Bartlett provides a skilled service with traditional flint & lime mortar craftsmanship, landscaping and tree & hedge planting. 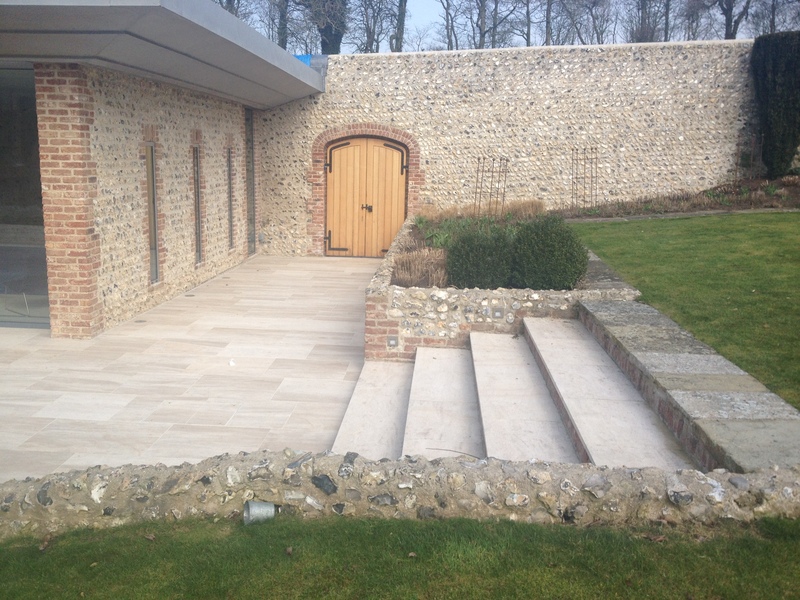 We are located in Litlington near Alfriston, within the South Downs National Park, East Sussex.